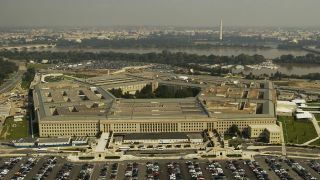 The hunger games for the Pentagon cloud computing contract continue, with Amazon and Microsoft down to the final two now fighting it out for the lucrative $10 billion deal. The news was confirmed by Reuters this Thursday morning, which says that IBM and Oracle are now officially out of the picture. According to the US Department of Defence, Amazon and Microsoft have ‘met the minimum requirements outlined’ in the Request for Proposal, meaning they can continue competing for the DoD’s Joint Enterprise Defence Infrastructure Cloud, or JEDI, for short. Even shorter – it’s supposed to update the Pentagon’s IT systems. The department’s spokesperson Elissa Smith said earliest a contract was likely to be awarded was mid-July.